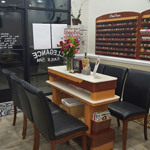 Welcome to Elegance Nails Spa! 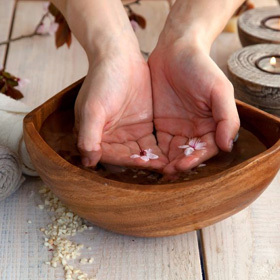 At Nail Dimensions, we provide your hands and feet with the nurturing, attentive care they deserve. You will leave with hands and feet that are refreshed, smooth and accented with lasting color. 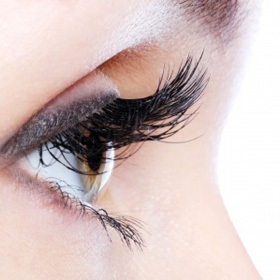 Our eyelash extensions are expertly applied to each individual natural lash using the best eyelash extension products and the best adhesive or lash extension glue on the market. 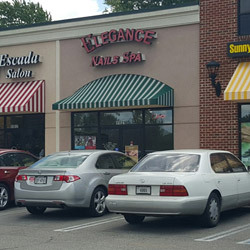 Welcome to Elegance Nails Spa in Richmond, VA, an elegant experience in the deluxe nail salon. We strive to provide a relaxing and fun atmosphere for our clients. We use only the best quality products. All of our technicians are licensed in their field of expertise. We provide free Wi-Fi and satellite TV for your listening and viewing pleasure. Come in and get relaxed today! In Keeping With Our Commitment To Cleanliness, Safety And Hygiene, We Sterilize And Sanitize Equipment For All Services And Treatment, your Health And Safety Are Our Utmost priority. Sanitation is Our #1 Priority. All Our Files and Buffers Will Be Discarded After Used on Each Customer. 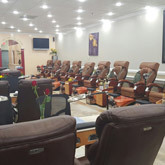 At Elegance Nails Spa, All Pedicure Liners are Disposable to Prevent the Spread of Bacteria, Fungus, and Infectious Diseases. Our Services Provide Unparalleled Fashion, Quality And Convenience.